Mike Andriaccio, who has owned Reynolds Mansion with his wife, Tricia, since June 2010, said the recognition was a pleasant surprise. Photo provided by Centre County Gazette. 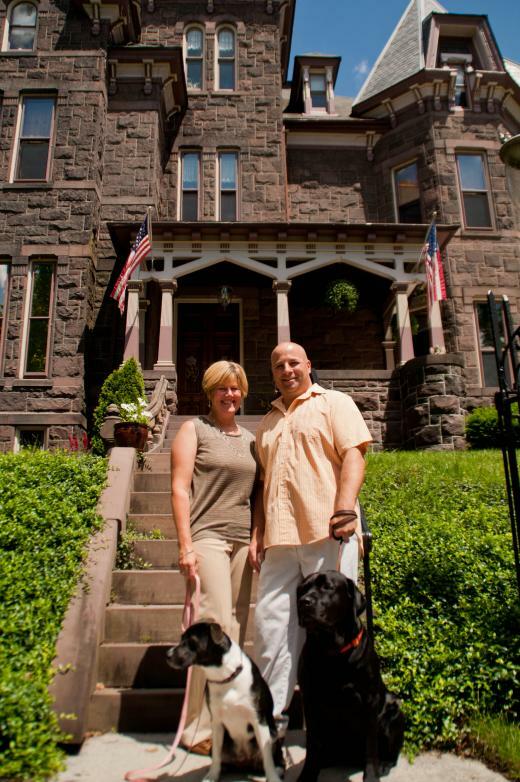 Owners of the historic Reynolds Mansion in Bellefonte have achieved Innkeepers of the Year. The award, part of Pennsylvania’s Spirit of Hospitality 2012 Awards Program, is presented by the Pa. Tourism and Lodging Association. An awards dinner and reception was held on April 23 at the Sheraton Harrisburg – Hershey Hotel. Mike Andriaccio, who has owned Reynolds Mansion with his wife, Tricia, since June 2010, said the recognition was a pleasant surprise. He and Tricia were told they were finalists for the award, but didn’t find out they won until the dinner on April 23. They were nominated for the award by the previous owners of Reynolds Mansion, who had run it as a Bed and Breakfast for 12 years, Andriaccio said. Andriaccio said he feels he and Tricia are deserving of the award because they’ve put many hours into Reynolds Mansion. The facility, located at 101 W. Linn St., rents out about 100 rooms per month, he said. In addition, a variety of events are hosted there, Andriaccio said, such as small weddings, bridal showers, teas and celebration dinners. According its website, Reynolds Mansion was built in the late 1880s as a single-family home. Run as a bed and breakfast since 1997, it has been rejuvenated through maintenance and historic preservation. The home is of the late Victorian period and features a blend of Gothic, Italianate and Queen Anne styles. “(It) boasts breathtaking woodwork and spectacular architectural detail,” the site states. The three-story building has six guest rooms. Rooms on the second floor include the Colonel’s Green Room, Grace’s Garden Room, Louisa’s Cherub Room and the New York Room, which features photos, artwork and accessories purchased from the streets of New York by the Andriaccios, according to the website. Third floor rooms include the Woodlands Room, the Grand Tour, and the Nittany Blue Room, which, as the title suggests, is entirely Penn State-themed. As part of the guest experience, Mike Andriaccio prepares three-course gourmet breakfasts daily, and Tricia plays classical piano music in the parlor, according to the website. “Entering through the lavish marble foyer complete with infinity mirrors and an original gas lamp, guests discover the period-specific grand common areas including the living room, billiard room, dining room, and Snuggery (a room where gentlemen retired to enjoy brandy and cigars),” the website states. "Interior details of the mansion include classic mirrors, handcrafted woodwork, stained glass windows, detailed molding, and inlaid parquet floors, of which no two are the same. The woodwork of the mansion is a very interesting part of the construction. According to the PA Tourism and Lodging Association’s website, its annual awards recognize performance, commitment and achievement in the hospitality and tourism industry throughout the Commonwealth of Pennsylvania. At the dinner, awards were presented in a variety of categories, including Teacher of the Year, Guest Relations Award, General Manager of the Year and Employee of the Year, among others. 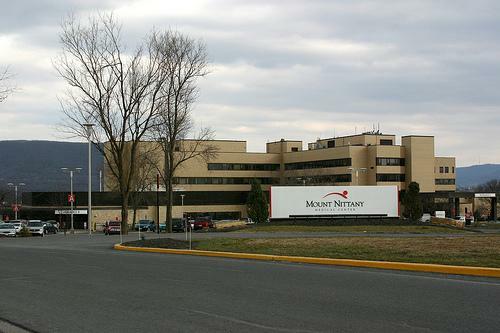 Bigger, smarter, better — Mount Nittany Medical Center has expanded the emergency department facilities and is inviting the public to an open house on June 23, from 9 a.m. to noon to celebrate. Parking will be available in the main entrance lots as well as the North and East lots (located to the left and rear of the front of the Medical Center, respectively).